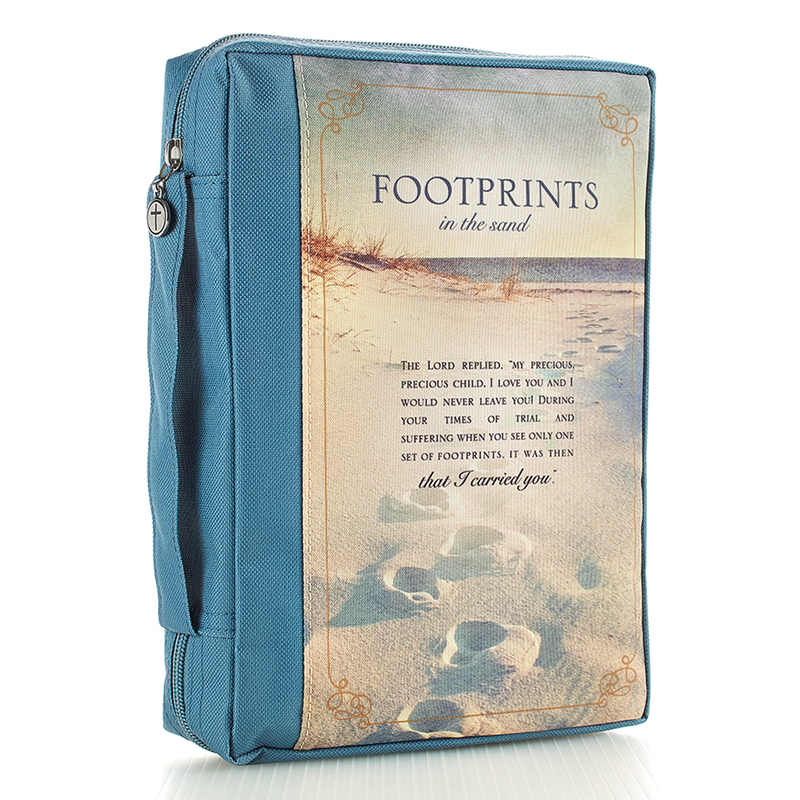 The "Footprints" Poly Canvas Bible / Book Cover features the last stanza of the immortal poem - beloved of the faithful, silk-screened on the silky front panel over a shoreline backdrop. 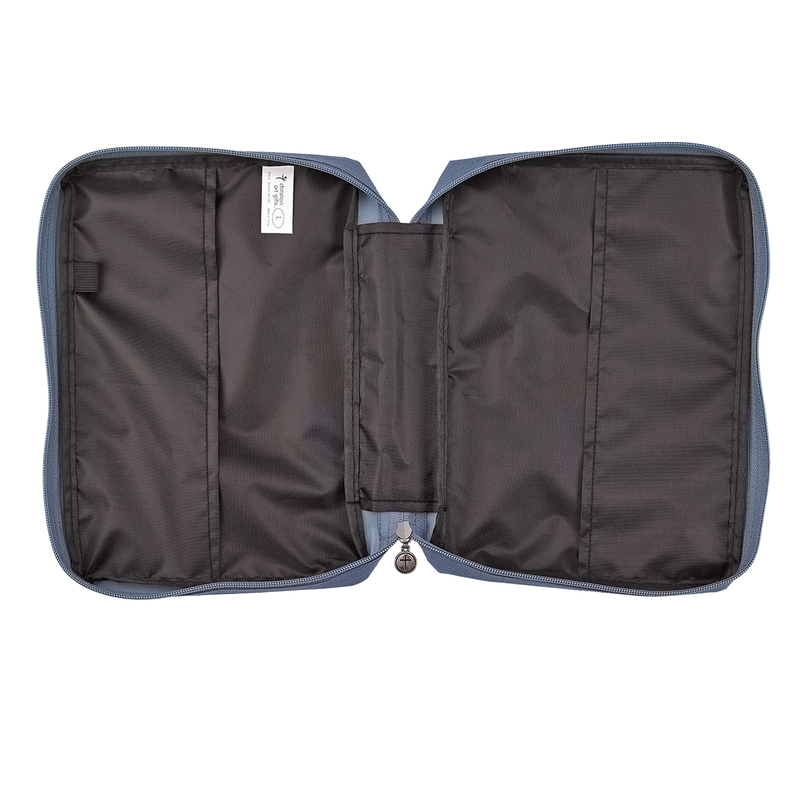 Additional design and function features include a slip pocket on the back, a cross engraved zipper-pull, a sewn-in carry handle and a pen loop inside of the case. 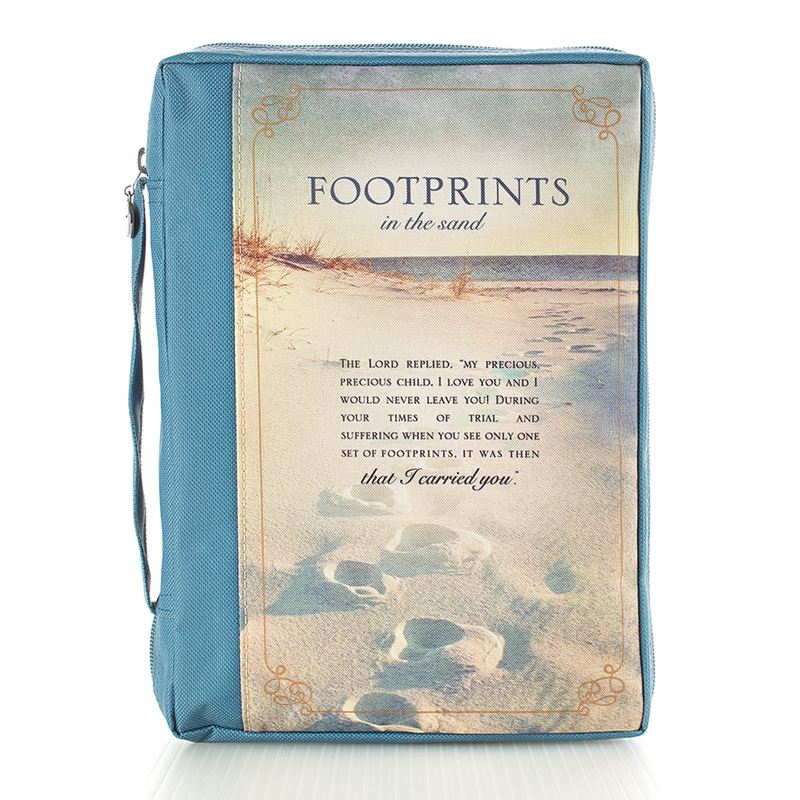 Footprints printed polyester canvas Bible Cover by Christian Art Gift was published by Christian Art Gifts, Inc. in August 2015 and is our 8968th best seller. 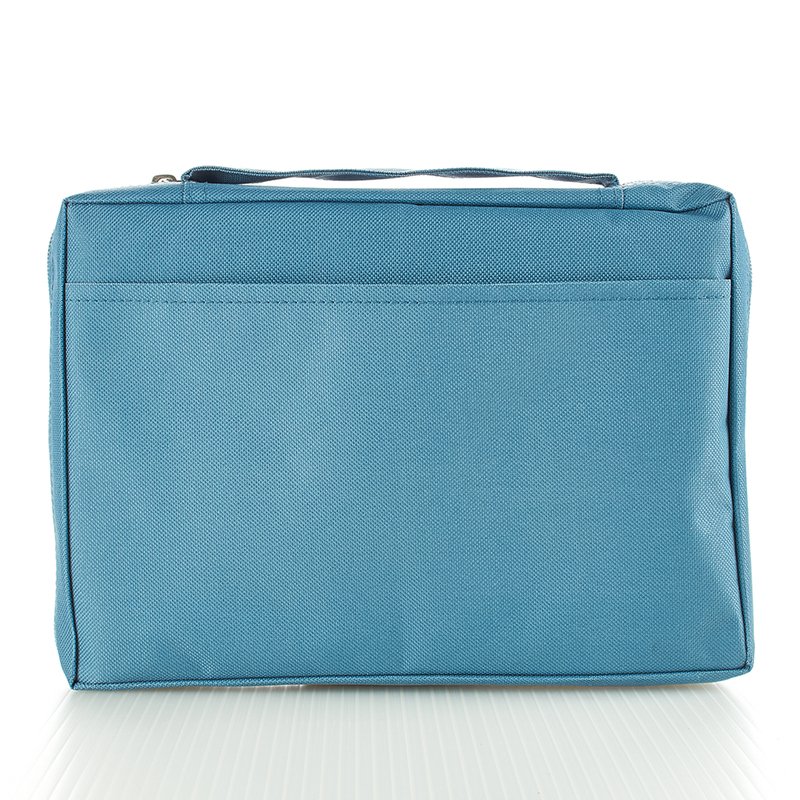 The ISBN for Footprints printed polyester canvas Bible Cover is 6006937131569. 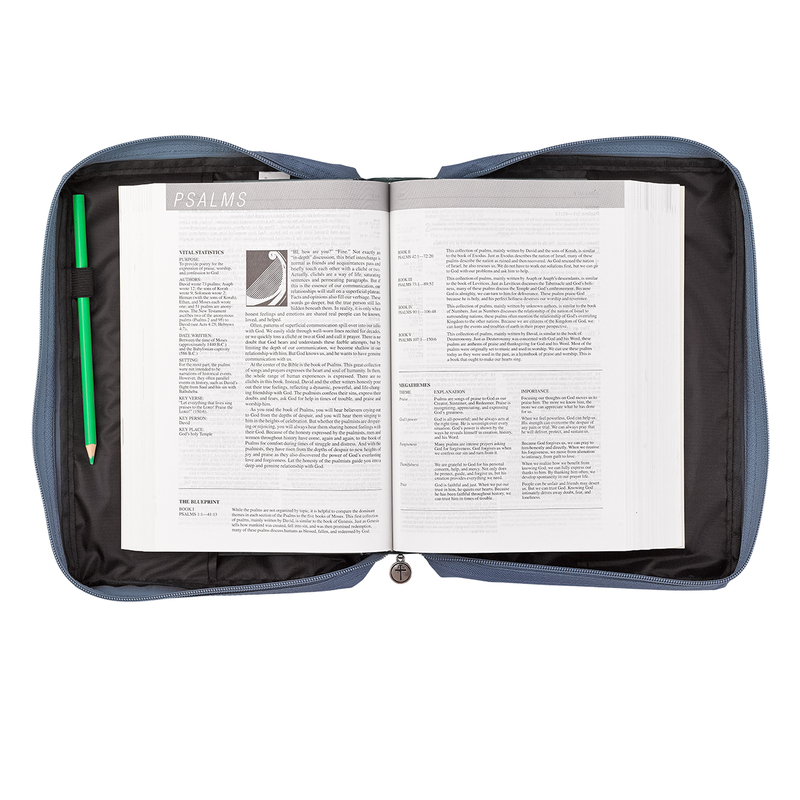 Be the first to review Footprints printed polyester canvas Bible Cover! Got a question? No problem! 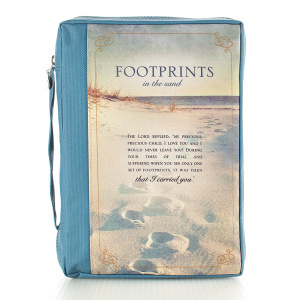 Just click here to ask us about Footprints printed polyester canvas Bible Cover.